Listen To: Let It Snow! Let It Snow! Let It Snow! 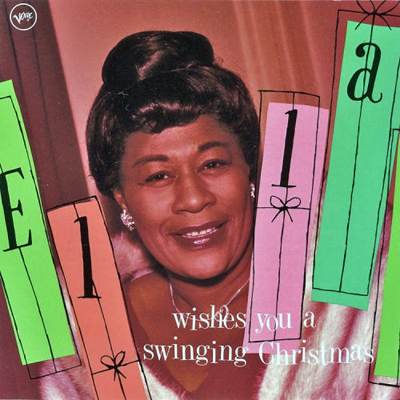 ELLA FITZGERALD’S ELLA WISHES YOU A SWINGING CHRISTMAS is one of those Christmas classics that everyone should have in their holiday collection. It’s definitely in my top 10 of all-time favorite holiday albums. With an unmistakable voice that resonates through generations — ELLA was true American original. Mine’s a classic too. Bing Crosby White Christmas. I’m too fickle to hang on to a favorite. I’m currently enjoying Putumayo’s Christmas Around the World. It’s mostly songs from the Caribbean (Haiti, Martinique, Cuba) and Cajun songs from the U.S. Fun to dance around to in the kitchen.